Create a Work of Art with DohVinci! The fun in this post was provided by DohVinci. All opinions are my own. Did you know that August is Art Appreciation Month? My daughter loves getting every chance she can to create, and one of her new favorite ways to add her own works of art to our home is by using DohVinci! 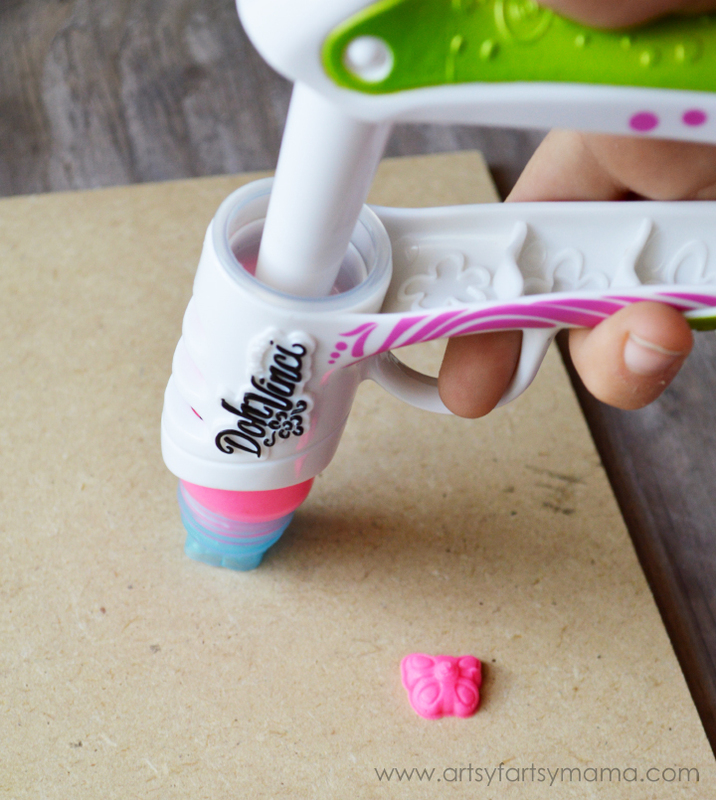 From the makers of Play-Doh, DohVinci is a colorful and fun design compound that sticks to a variety of surfaces using an innovative Styler tool. With so many colors and application techniques, the creative possibilities are nearly endless! We're excited to show you how it all works and get you excited to create your own works of art with DohVinci, too! Before we get to the tutorial, I wanted to show you these amazing painting recreations! 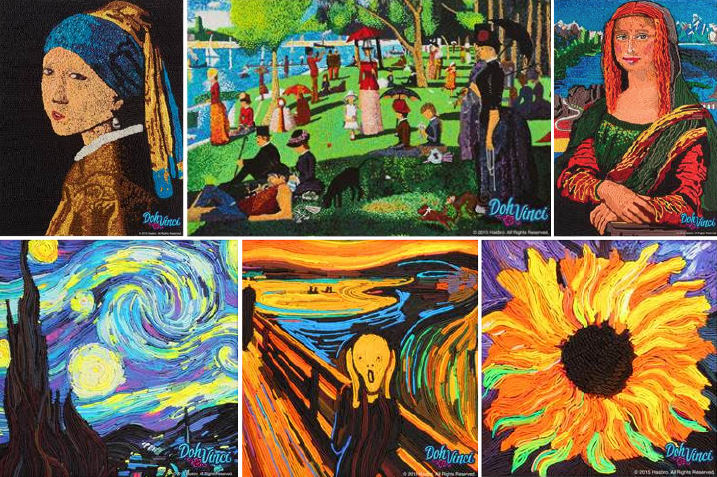 Hasbro’s DohVinci is celebrating this month by sharing six incredibly detailed recreations of famous works of art - all made out of 100% DohVinci design compound! The collection features classic paintings “Girl with a Pearl Earring” by Johannes Vermeer, “A Sunday Afternoon on the Island of La Grande Jatte” by Georges Seurat, “Mona Lisa” by Leonardo da Vinci, “The Starry Night” by Vincent van Gogh, “The Scream” by Edvard Munch, and “Sunflowers” by Vincent van Gogh. 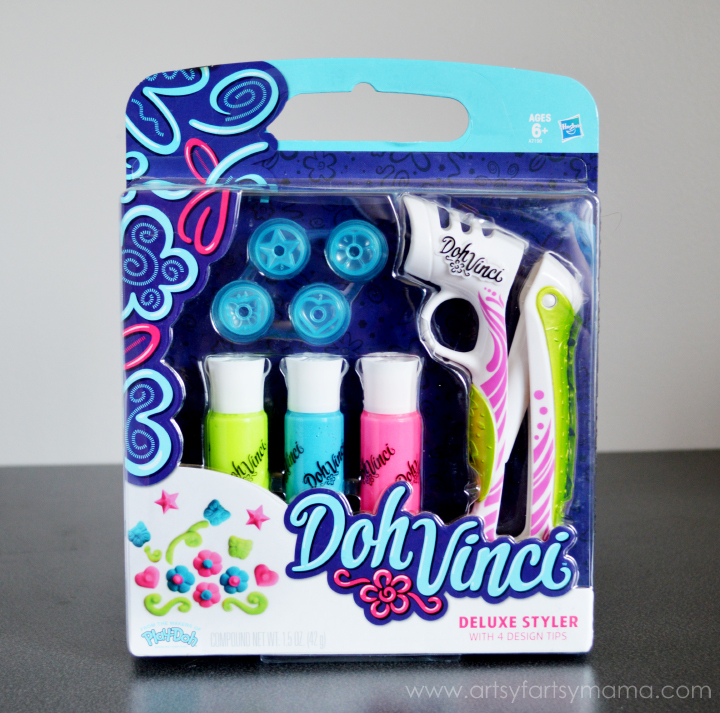 The DohVinci Deluxe Styler set is a great set for beginning to create with DohVinci! The set includes the Deluxe Styler, 4 design tips, 3 Deco Pop tubes and inspiration guide to get you started. First, we started our design with the Deluxe Styler set and a small piece of MDF. 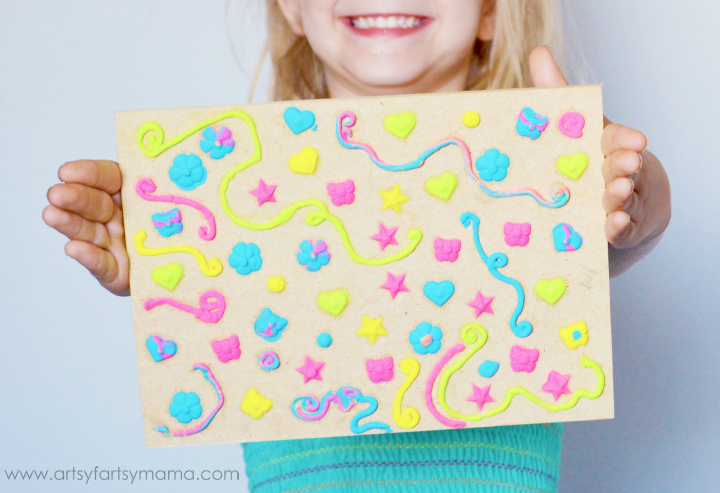 You can create your designs on multiple surfaces, including wood, cardboard, paper, Duct tape and more! Just make sure the surface you choose to work on is clean and smooth for best results. Loading the Styler couldn't be easier. My daughter did the entire process on her own, and it was so much fun! First, she wanted to create stamps. Remove the cap from the Deco Pop tube, and twist the design tip of your choice (shown is a butterfly) and place the tube in the Styler. Now you're ready to design your artwork! Hold the Styler tip flat against the wood and press the Styler slowly until you see the end of the design tip filled with compound. 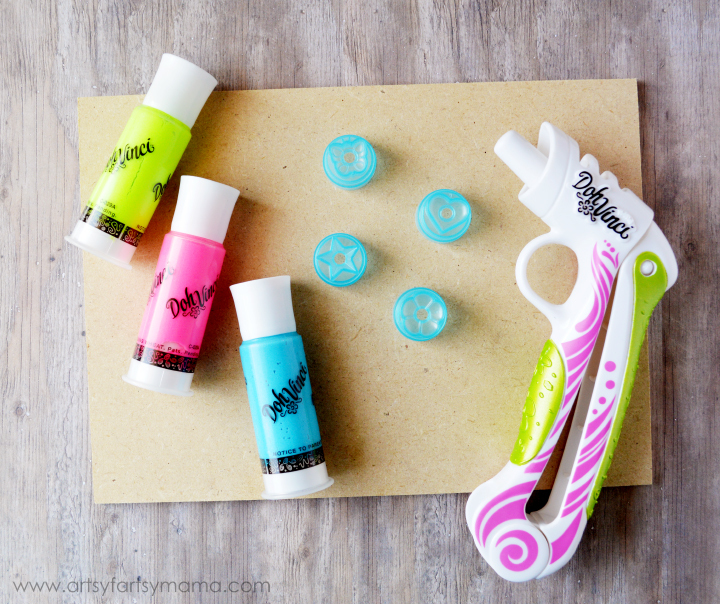 Let go and pull the Styler straight up, and now you've got a fun 3D stamp! If you mess up, no problem! Just peel it up and start again! We created butterflies, flowers, stars and hearts in all the different colors all over the wood. 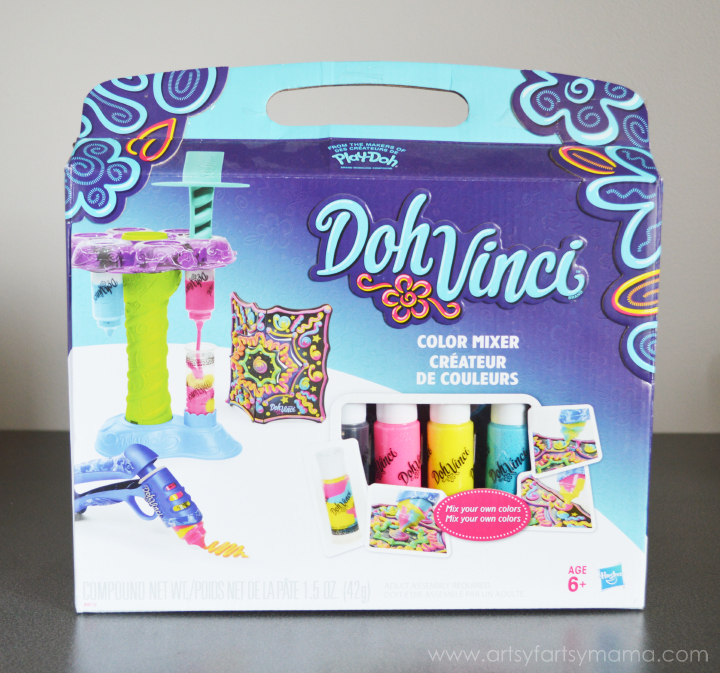 Once she finished stamping, she wanted to mix up her own colors with the DohVinci Color Mixer set! The set includes the base, center post, wheel, plunger, pop-up art board, Styler, 3 Deco Pop tubes, 1 empty tube, and inspiration guide. 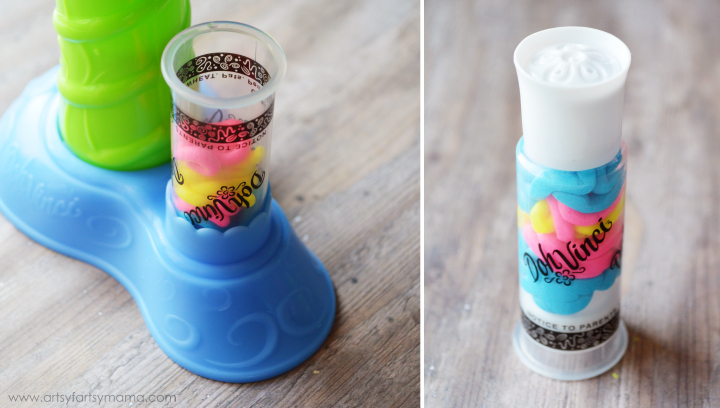 With this set, you can customize and refill your own multi-colored Deco Pop tubes for wild swirly effects! It's easy to use, and can hold up to six different color Deco Pop tubes. Remove the caps from the Deco Pop tubes, and place upside down in the turnable wheel. Then, place an empty tube with the caps removed into the bottom space. Then using the plunger, press down on the color above the empty tube and add some compound. You'll need to press the compound down to really fill the tube. 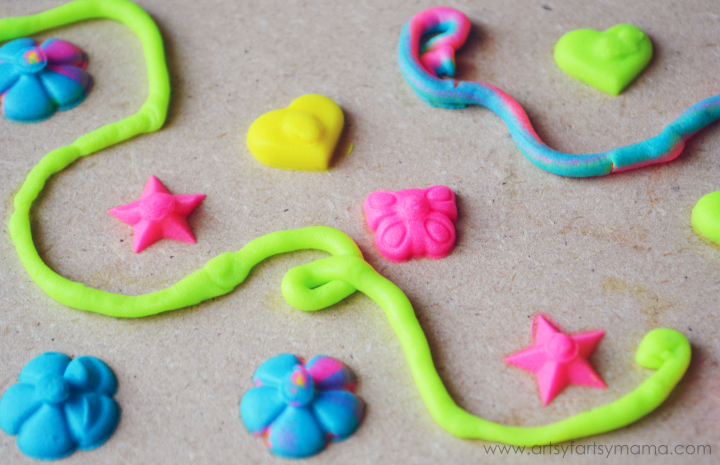 Add layers of color, or add colors side by side for different swirl and marble effects. 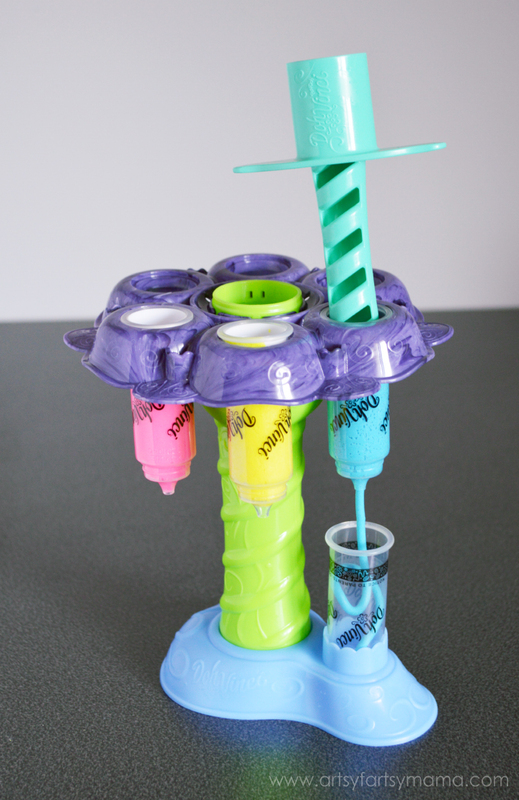 Once the tube is full, add the top and bottom caps and it's ready to be used! You can refill the tubes again and again! The flower on the top was made using the multi-color compound we mixed in the images above. You can see the pink and yellow compound marbled into the blue and really pops! 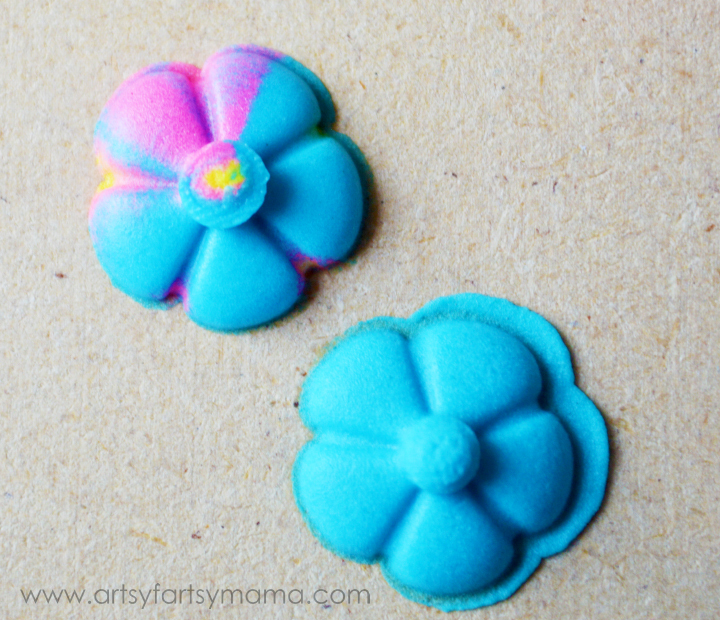 The bottom flower is created with just the blue compound and a flower stamp for comparison. 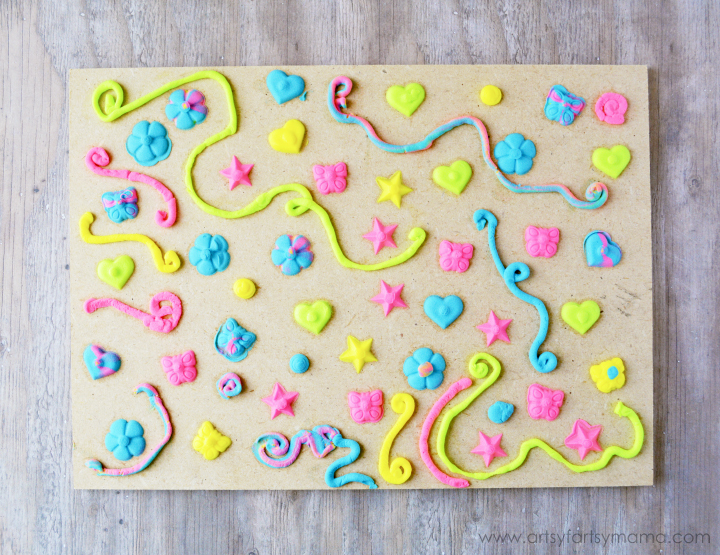 You can also use the Deco Pop tubes without the stamps to create 3D lines and embellishments. Load the tube into the Styler without the design tip, and it's ready to go. It takes a little practice, but it's really simple to do. For best results, keep your project on a flat table or surface. Make sure the Styler tip is touching the surface at an angle as you draw, and work slow. If you make any mistakes or want to start over, simply wipe it off before it dries and try again! Keep decorating until you are happy with your artwork and let it harden overnight* so you can hang it on your wall! *Drying time may take longer depending on the thickness of your design. 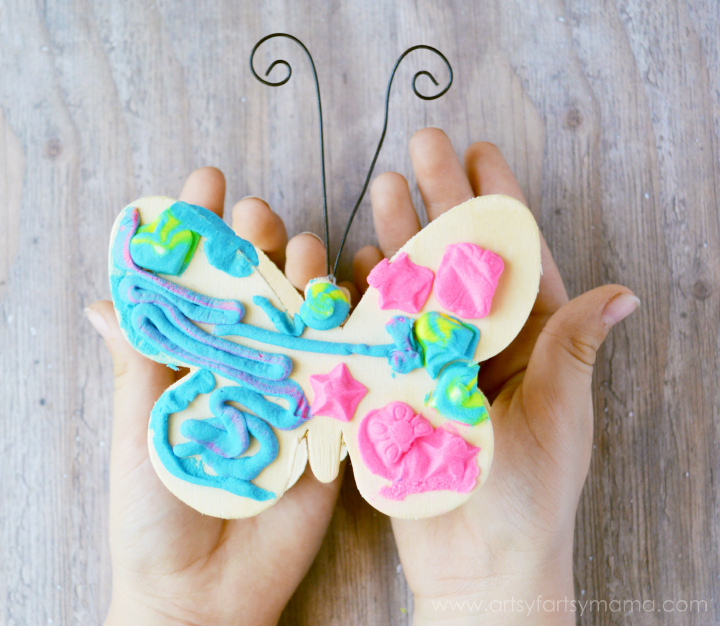 My daughter also designed this cute butterfly using some marbled DohVinci and stamps! You can find all kinds of inexpensive wood products like this at most craft stores that will work great for a DohVinci project. With Christmas coming up (I know, I know) this would make a great gift idea, and it's totally affordable!! DohVinci is available at most major toy retailers nationwide and on HasbroToyShop.com. How fun! My daughter would love this but I've never seen this in stores. I'll have to look for it next time!